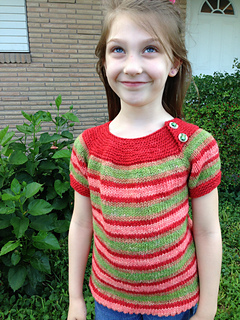 La Petite is a French-inspired striped top, designed to showcase Red Riding Hood Yarns’ Petite Collections. 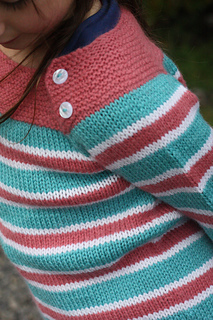 Featuring a double-button circular yoke, La Petite is a versatile pattern which can also be knitted in solid, semi-solid or variegated yarn, with options for contrast colours at hem, cuffs and yoke. 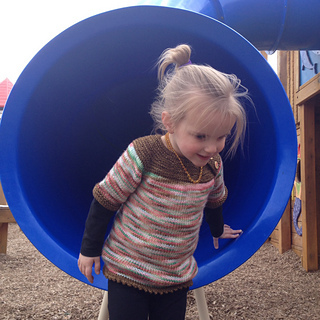 Written in twelve sizes from 6 months to 12 years, with two sleeve lengths, La Petite is suitable for boys and girls. 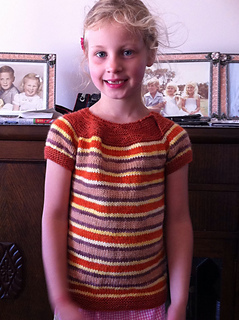 The pattern has two different hem options; a garter-stitch hem, or a picot hem for a more feminine look. 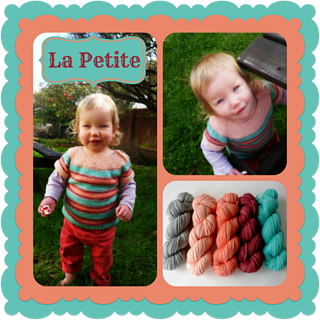 Completely seamless, La Petite is available in two versions, for 8ply and worsted/10ply yarns. 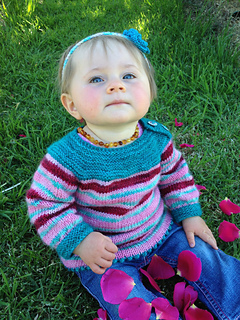 To ensure the best fit, please knit the size of your child’s chest measurement, rather than their age, and add or subtract length for their age. 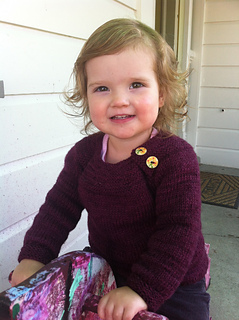 For example my 4yr daughter fits a 2yr size with a 21inch chest but it is knitted to the 4yr old length. There is approximately 2 inches (5cm) of positive ease included in this pattern for a relaxed fit which makes it great for layering. The following includes the chest size and approximate estimated yarn quantity in Yards/Metres. 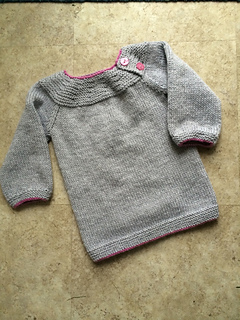 A double knit 8ply or light worsted weight wool 10ply yarn is recommended. 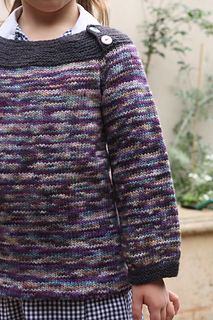 A set of five coordinating colours for striping would suit this design, but it would also look equally wonderful knitted in one colour or with two colours (a main colour for the body and sleeves and a contrast colour for the garter stitch details). 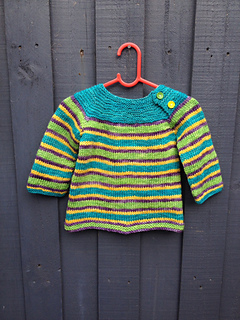 This design is perfect for using up scrap yarn in stash. or any other DK 8ply you can get gauge with. or any other worsted weight wool 10ply yarn you can get gauge with. Thank you very much to my amazing group of testers and Tech editor! !